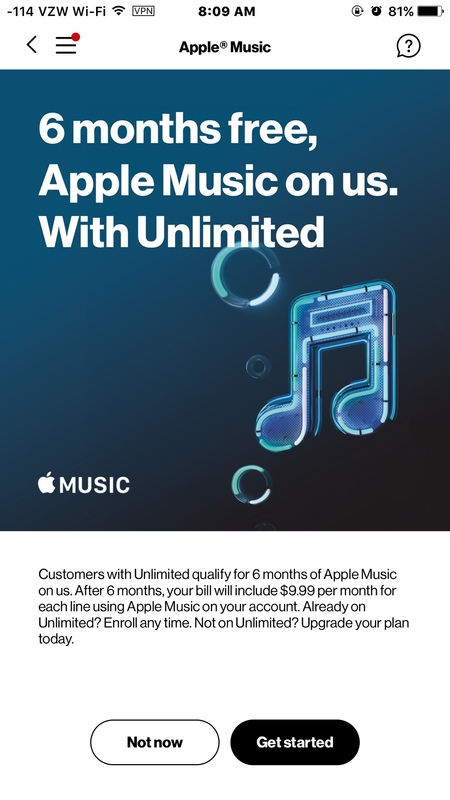 Free 6 months of Music for unlimited customers. Apple and Verizon are working together with this offer. All unlimited customers and lines with an iPhone get this deal. You can cancel at any time. I'm thinking about it, even though I don't listen to music much. You can find the offer in the My Verizon app. PrincessB and nikkisharif like this. Unless an American person adopts me, this deal is no good for me, since I’m in the Netherlands. You can take advantage of this offer, even if you already subscribe to Music. You don't have Verizon. Call your carrier and demand they offer the same deal. ladyc0524, ivanwi11iams, Tartarus and 1 others like this. I just signed up for three months free with Apple.....But I’d rather have the six months! I wonder which Unlimited plan this qualifies for? I'm on the one they released originally last year. Not one of the three they are promoting now. I think any of them. I'm on the same one as you. You might want to call Verizon. There may be a way for you to do both. Get 9 months free some way. Existing Music subscribers can get the 6 months free. They already had their free 3 months. Wouldn't hurt to ask. Spencerdl, Tartarus and nikkisharif like this. Hey AT&T!!! Are you paying attention??? What about doing something like this for your customers??? Meh. I’ll take free Netflix for life courtesy of T-Mobile. Not Quite Right, Tartarus and Quis89 like this. Actually you will have to cancel the free three month and you will only get six months of Apple Music Free. I was wondering the same because I was currently on the four months free so I called Verizon to get the correct information. As long as you're on any Verizon Unlimited plan you qualify for six months FREE Apple Music. I'm also grandfathered in the original unlimited plan. 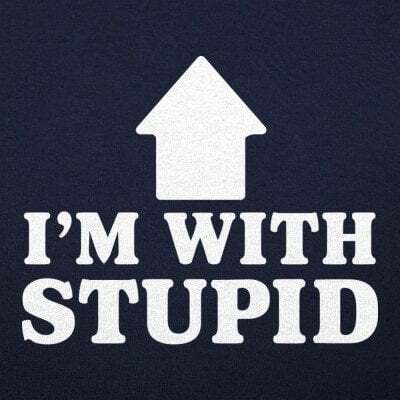 Meh yourself...LOL. After I did the math and read all the small/hidden print, I would only save approx $7 per month with my Military discount and subpar connection in my area, not to mention having to put a down payment on "certain" devices even with good credit (I was told everyone has to put a device down payment on those devices). I didn't need a down payment with Verizon. T-Mobile might be good for some, but Verizon is best for me. Now back to the title thread subject. The offer for six months of FREE Apple Music is for a limited time (you can cancel at anytime) so get to it Verizon customers. nikkisharif and Tartarus like this. Free Netflix would be a better deal. Not Quite Right, Spencerdl and Rob Phillips like this. Tartarus, Quis89 and robertk328 like this. 6 months of Apple Music IS probably cooler (definitely cooler! ), BUT T-Mobile, next Tuesday (8/21) is giving all customers 1 year of free Pandora Plus. NOT Premium, but the 5 dollar a month "plus" plan which eliminates ads and allows unlimited skips. Rob Phillips, violetjune, Spencerdl and 1 others like this. I already get free Netflix, as I'm logged in to my son's account. He's got 5 people on his Netflix. violetjune, Tartarus, Not Quite Right and 2 others like this. So those who already did the free 3 months and do the free 6 months will have gotten 9 free months total, but anyone currently doing the free 3 months won't be able to get a total of 9 months free? That doesn't sound fair. Exactly. Either you keep the three months or unsubscribe and get the 6 months. I was two months in for my "Verizon Up" free four months and had to unsubscribe to get the six months free, so actually I end up getting 8 months free instead of ten. Not Quite Right, Tartarus, pkcable and 4 others like this. So, I got the free 6 months of Music. I have to be honest and say I don't care for it. I liked Tidal a lot better. I'll hang on to it for 6 months, but definitely will not keep it. If I have to pay, I'd get Tidal. I have to be honest and say I don't care for it. I liked Tidal a lot better. I'll hang on to it for 6 months, but definitely will not keep it. It DOES grow on you after awhile. Especially if you have CarPlay, HomePod & AppleTV. Tartarus, Ledsteplin and Spencerdl like this. joemd60, Ledsteplin and ladyc0524 like this.